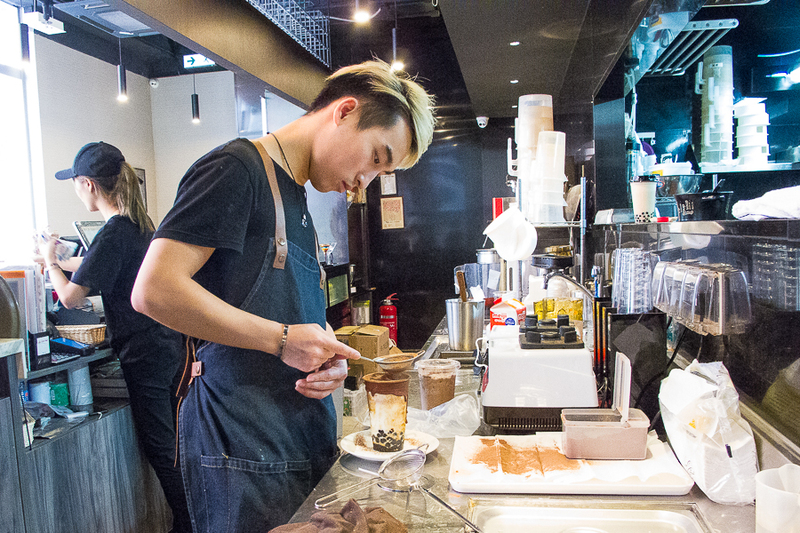 [Hong Kong] With the brown sugar bubble milk going on in Hong Kong, even cafes are tapping in to the trend. 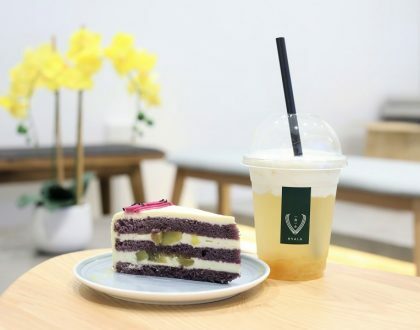 Tearapy 茶聊, a spacious café that opened in busy Mongkok’s Portland Street is doing just that by serving a level-up version of the drink. 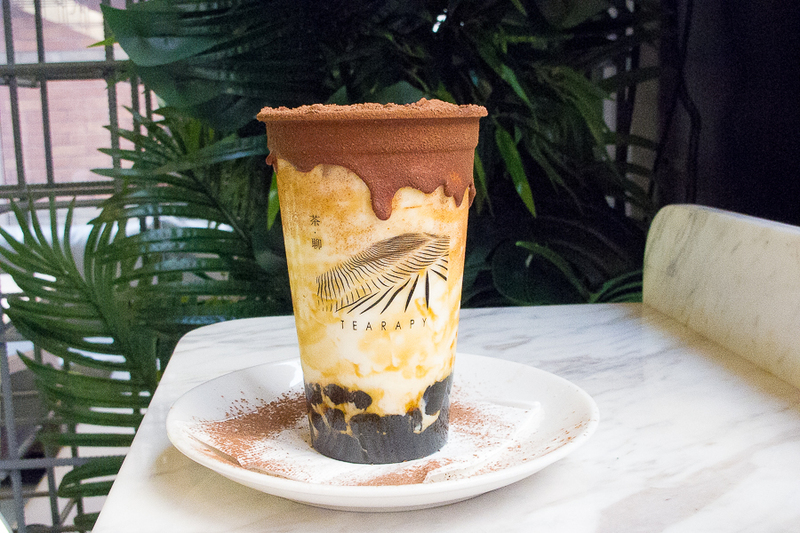 Catering to the more youthful crowd with their attempt at slick interior and marbled tabletops, Tearapy is capturing interest with the trending cheese-capped tea drinks, fresh fruit teas as well as the brown sugar boba pearl milk. 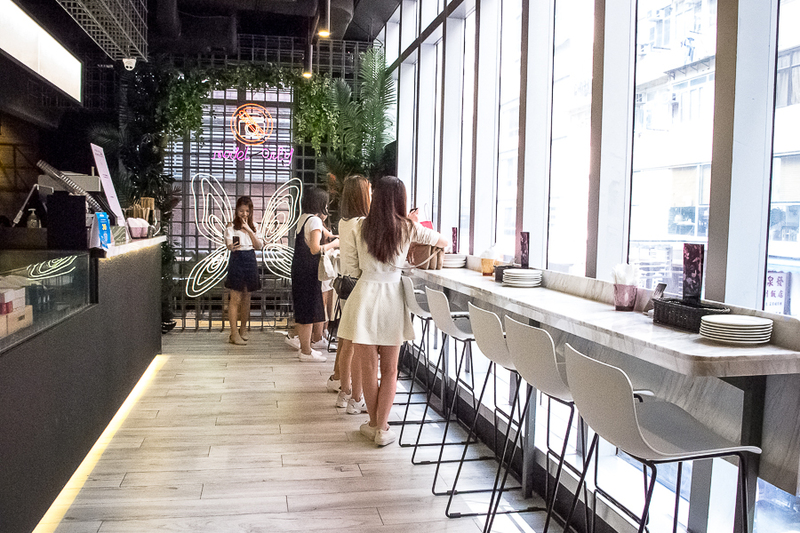 Unlike the usual takeaway bubble tea stores, Tearapy is more of a full fledge café serving western-fusion food as well. So you can actually sit down and enjoy your tea slowly while having a nice meal. 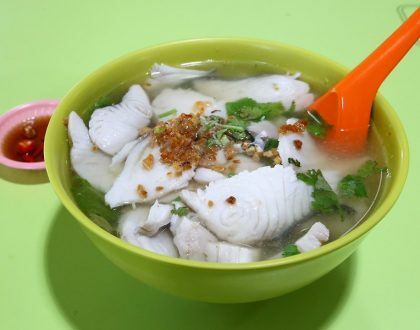 Located on the 2nd level in a building along Portland Street, you can sit by the window seats and gaze down at the cluttered street and feel the contrast. 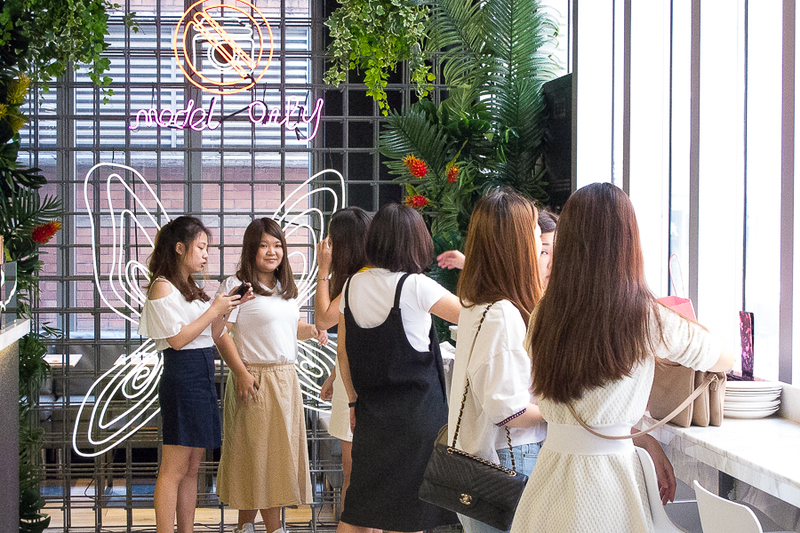 The café also has a neon signboard partition for aspiring Victoria Secret models to take selfies against. 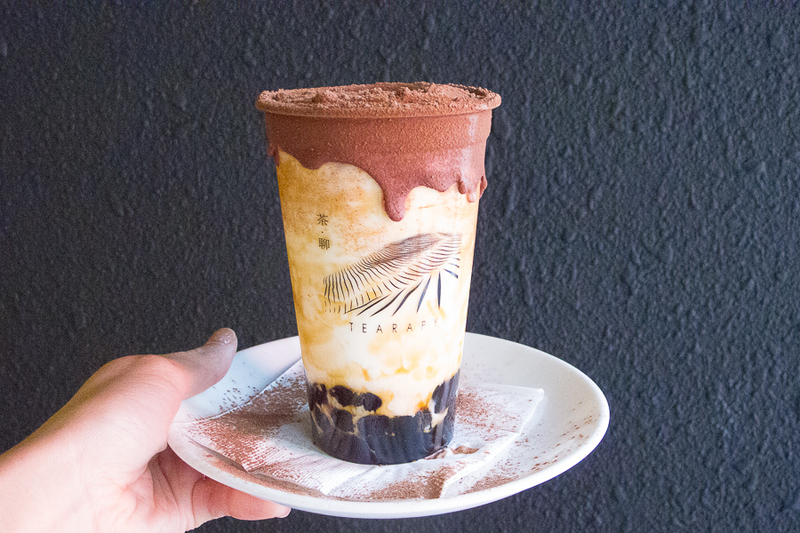 The most instagrammable item offered is their Dirty Brown Sugar Pearl Milk 髒髒黑糖珍珠鮮奶 (HKD43, SGD7.50). Brown sugar pearls topped with milk and dusted with a thick layer of cocoa powder, this is a must-order there. Using Meiji Milk, their version was smoothly-nice but not at competition level with Tiger Sugar or Jen Judan. While the distinct brown sugar caramelized taste was there, it did not seem to be as strong as the popular bubble tea players. They also have the non-dirty versions that do not have the cocoa powder, photo-worthy effect. Therefore, to avoid ordering the wrong drink, it is best to point to the photo when ordering. 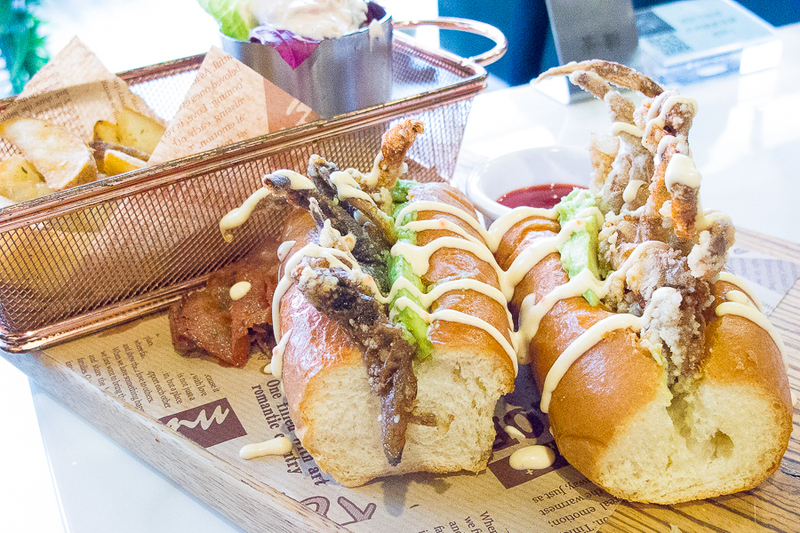 I also ordered the Soft Shell Crab Submarine (HKD98, SGD17.50), which was 2 soft buttered buns with deep fried soft shell crab drizzled with avocado sauce and served with wedges. Taste-wise, it wasn’t particularly tasty and portion was quite small. 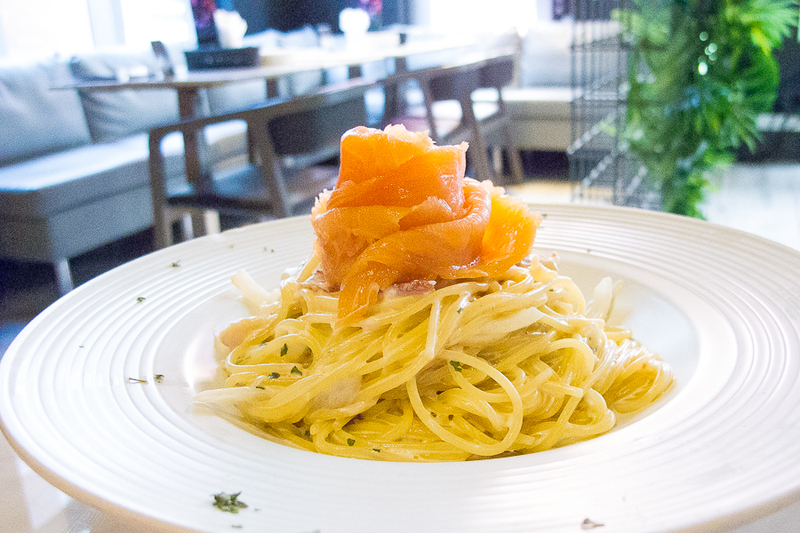 The Smoked Salmon Carbonara (HKD88, SGD15.50) and Blue Mussel Angel hair pasta (HKD78, SGD13.50) were quite average tasting, so I am guessing their strong suit is in their teas. 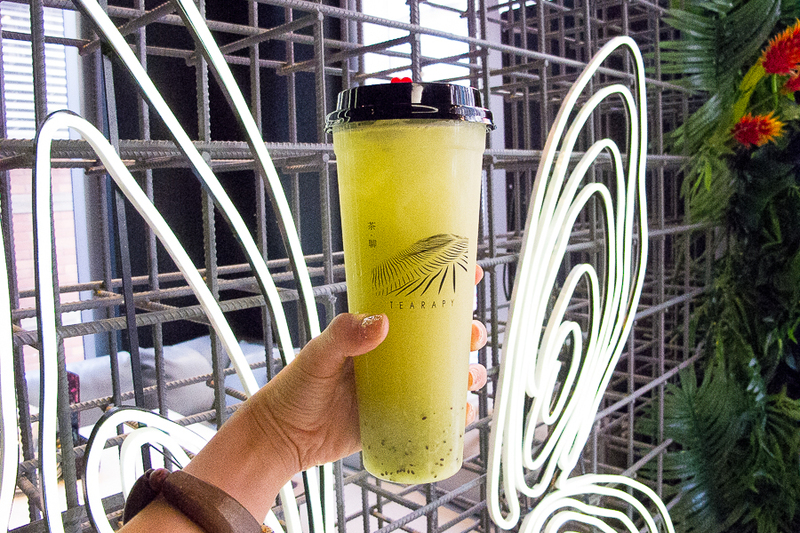 The Kiwi Cloud Tea (HKD42, SGD7.50) was really refreshing and tasted like a fresh fruit smoothie and not the syrupy teas. A perfect drink on a warm day. I noticed the place was packed with mostly ladies. 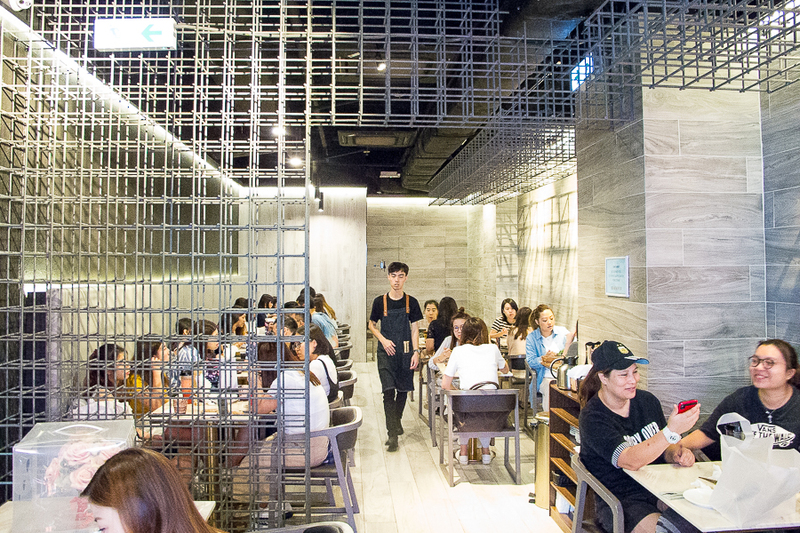 Not sure what it was in particular that attracted them more, could be the design of the café or the food offering. 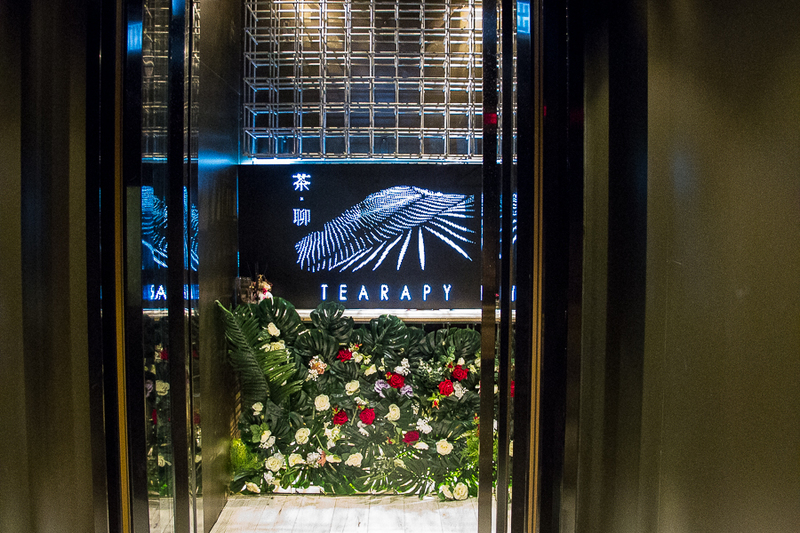 Tearapy could be reached via lift access and you will be greeted by an entrance that looks like a high end karaoke lounge. But don’t be misled by their entrance and walk right into the café. 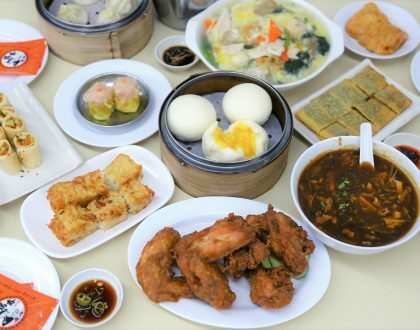 * Written by DFD’s Hong Kong Correspondent @kara_the_explorer, who is the Singaporean “tai tai” living the foodie dream in Hong Kong. 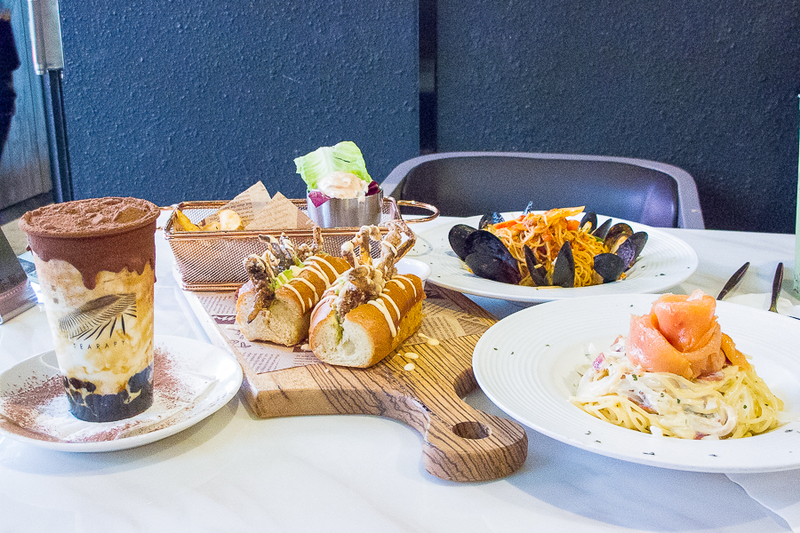 DFD paid for food reviewed unless otherwise stated.